A national speaker with Compassion International as well as a women’s conference speaker, CCM Artist/Songwriter & worship leader with Seeing Deep Ministries, Denise is the author of "Shame Off You" & "31 Days to Hope Reinvented" & serves on the editing team for Proverbs 31 Ministries devotions, as well as on the COMPEL volunteer leadership team. Passionate to help others see deep in a shallow world, Denise has two podcasts that communicate biblical truths for our daily lives, "Seeing Deep" & the Black & White podcast that she co-hosts with Angela Donadio. Mom of five she home educated, (4 in college), Denise lives in VA with her husband, works as an EA & leads worship at her home church. 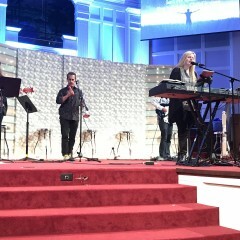 We were so blessed to have Denise lead worship at our Women's Conference. She did everything possible to help support the conference starting months before the event until the moment she left the conference. Her personality and spirit is so sweet. Her voice is just amazing and appealing to all audiences! Her trumpet player was an added special touch we weren't expecting! She defiantly made our conference extra special! 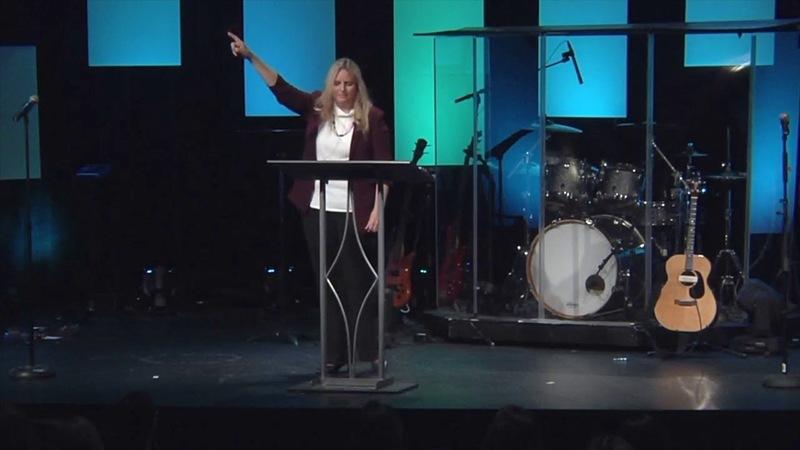 Thank you so much for inviting me to lead worship for your very special women's conference. Your conference was very well organized and it was a delight to be a part. The presence of the LORD was palpable and your care over every detail made this event memorable to all. Denise Pass and her very accomplished band impressed everyone at the Fall Festival with outstanding music that cultivated an atmosphere of worship of our Lord and fellowship. Denise gives all the glory to Jesus as she creates a spirit that encourages all to know more about Jesus. I highly recommend Denise. Thank you so much, Herb! Your congregation was very welcoming and we thoroughly enjoyed our time with you, as well. God bless you and we hope to come again as the LORD leads! She was absolutely phenomenal! Very down to earth, humble, funny, friendly, relatable! Fierce woman of God! Will definitely use her expertise in the future!! Definitely recommend her to come speak at any engagement! Thank you so much for having me! The Holy Spirit blessed is abundantly and it was such a joy to meet you all. 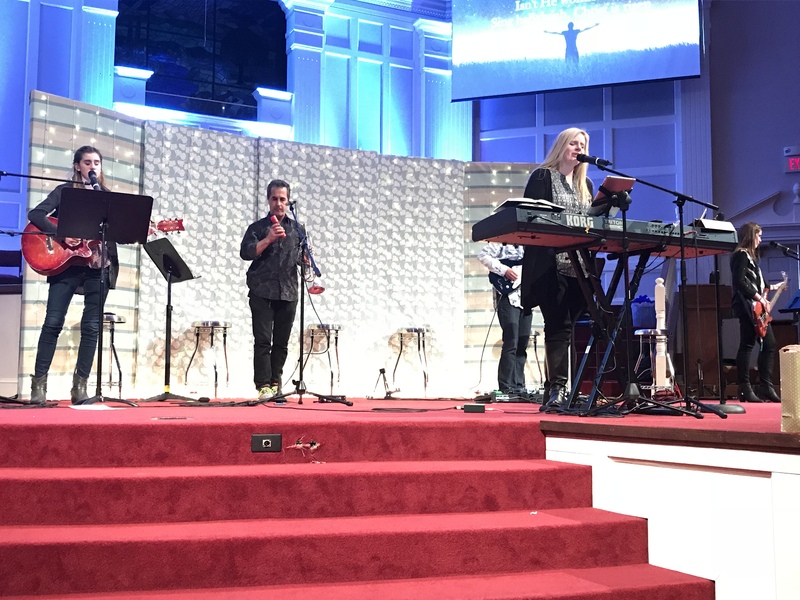 Denise Pass and Seeing Deep performed at WoW 2K18, a ministry event for middle school girls. Our event attendees and volunteers were blessed by the band and the songs they performed! Denise's engagement with the audience was authentic and meaningful. We loved Seeing Deep! Thank you so much, Tracy! What an amazing ministry you have there! we were thrilled to be a part! God bless you! I am eternally grateful for what happened to my soul this weekend. I cannot express enough gratitude to you of the huge difference you made in my life and the lives of some very special "sisters" in my life! Thank you doesn't cut it! May Gods peace continue to shine upon you to be a light for others. I love Denise's music. I love her soulful, jazzy style. In person, she's funny and personable. She's personal and ministers to the heart. I am always enlightened and refreshed after listening to her! Denise's testimony and music is both uplifting and inspirational. Her amazing story is one of triumph over some of the worst that life can offer. Her honesty about what she went through combined with humor and her beautiful music make this an inspiring event you won't want to miss. Thank you, Beth! 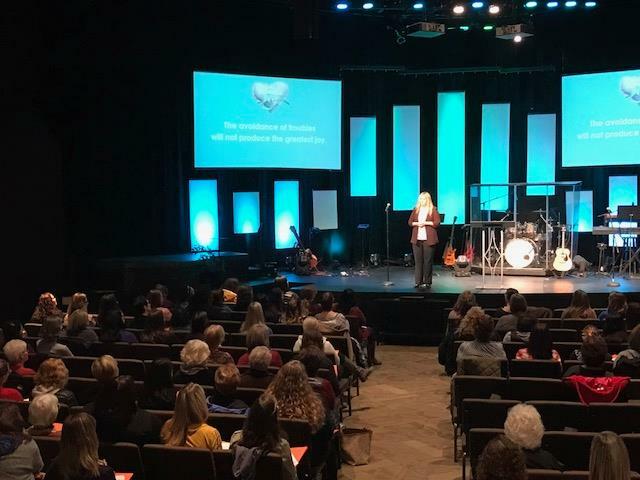 It was a joy to minister at the women's conference event in PA. You ladies were a blessing and an encouragement to me, too! God truly is our ever-present help in time of need. Sincere interaction with the audience and opportunities for congregation to respond. Worshipful, engaging, heartfelt and lively! Depending on the venue, I can coordinate with your format, as well. It seemed like I had it all. But looks can be deceiving. My life as a devoted Christian homeschool family was suddenly upended by a traumatic and life-altering event that challenged my faith. I walked, stumbled, and crawled with the Lord through those painful days and learned lessons that continue to shape my music and my messages. With humility and transparency, I address issues such as loss, insecurity, discouragement, disillusionment, depression, shame and hopelessness. We serve a God who redeems and restores. He does not leave anyone out and hears all who seek refuge and forgiveness. Through Christ, we who were once victims can become victors! So, who is this crazy gal writing and singing so much and why is she doing what she does? God’s love consumes me and I have a passion to praise Him who has set me free. He can do the same for you. I am a National Speaker/Author/Worship Leader/Songwriter/CCM Artist/Podcaster. That’s a mouthful, isn’t it? I love to create and find new ways to communicate God’s lavish grace and forgiveness. God loves to inspire and even though I am an imperfect vessel, I sure have fun sharing His message! The two books, “Shame Off You” and “31 Days to Hope Reinvented”, were written from a place of needing to heal and find answers as well as a burning desire for my suffering to not be in vain—I just wanted to help someone else overcome, too. And God miraculously healed me and gave me a message to help heal others, too. Music has been such an incredible tool to help set people free in my ministry, as well. My writing first started out with writing songs. I am a singer/songwriter who has recorded three CDs that received airplay and awards on a number of the songs. “You Are Worthy” (March 2017) was a finalist in the International Song Competition, recorded with Ed Cash’s Anchor Production company in Nashville, TN. The songs, “Layers” and "Deeper" (Seeing Deep EP) were also finalists in the Great American Song Competition in April 2016, recorded by Shay Watson. In 2006, the CD, "Praying For You" won album of the year with the IGMA. In 2007, I won first place for Inspirational Artist on the television show, "An Evening with Champions" with IMMA. The Reason Behind it All. I write, sing, and proclaim God’s goodness based on my real-life experiences in the hope that the precious lessons God taught me can heal others and glorify our great God. I also blog weekly devotions to encourage my on-line followers and shares my music and messages at retreats and conferences, worship services, festivals and events. On the personal side of things . . . I love being a momma and home educated all five of my children. Four are now in college and my fifth little guy who I adopted from Russia is not so little any more. 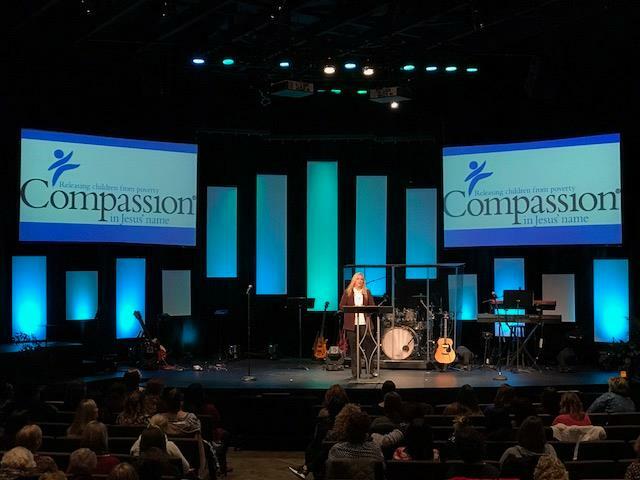 An adoption advocate and speaker for Compassion International, I speak and travel in the hopes that I might be a voice for children with no voice. But more than anything, I love Jesus and am married to an amazing husband, Clay, who sometimes ministers with me at musical events. When I am not ministering at conferences, writing books or songs, I love to play Scrabble or cards and hang with family and friends. We have our own PA system but are fine to use yours. Depending on the venue, might need microphones & amps. Worship venue: I defer to the worship that congregation prefers; traditional or contemporary. The set would include worship songs as well as 1 or 2 original songs. Concerts: Set of 12-14 originals with 1-2 covers. Women's retreats/conferences: Varies on parameters set, but typically 3-5 worship songs before each , possibly an original in that mix. Christy Nockels, Francesca Batistelli, Sara Groves, Matthew West, Nicole Nordeman, Nicole C. Mullen, Keith Green!